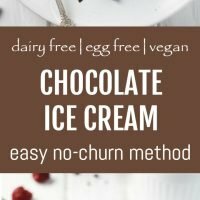 This no churn vegan chocolate ice cream is so rich, smooth, and creamy that nobody would ever guess that it’s dairy and egg-free. In addition, it’s quite easy to make. 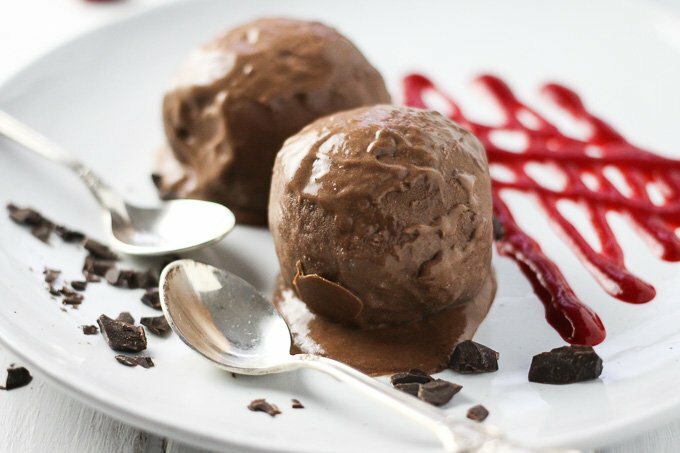 If you have a muffin pan and a food processor or a high-quality blender, you can whip up this vegan chocolate ice cream in just 15 minutes (plus the freezing time). No ice cream maker and no tedious churning are required. 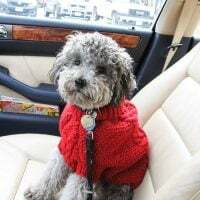 I’ve written about it already a few times here on the blog but I am going to briefly explain it anyway just in case you are new here. I really like making ice cream but don’t own an ice cream maker because I have a really small kitchen where storage is an issue. 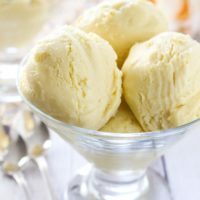 I had tried making ice cream without an ice cream machine using the traditional method which tells you to freeze the ice cream base and vigorously mix it every 30 minutes. This method is very time-consuming and it’s also pretty hard to mix even a partially frozen ice cream base. 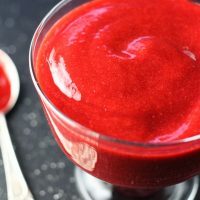 Just to be fair I have to mention that there are some ice cream recipes out there that don’t require any churning at all. These recipes usually use a lot of fat. I am not saying that it’s bad or unhealthy, it just doesn’t work for the ice cream base that I like to use. So after some trial and error, I created my favorite no-churn ice cream method where I freeze the ice cream base in a muffin pan, then transfer the frozen ice cream cups into a glass container for storage. Once ready to serve, the ice cream cups are processed in a food processor to the consistency of a soft ice cream. 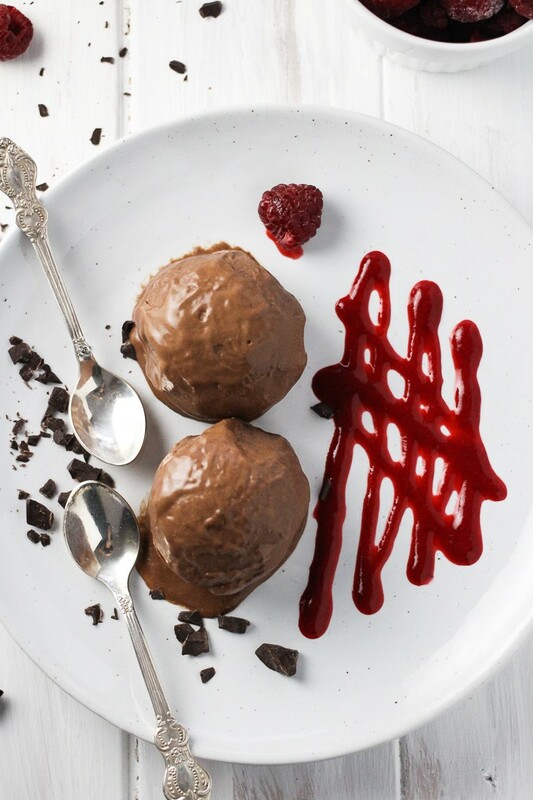 Chocolate and raspberries are a match made in heaven. 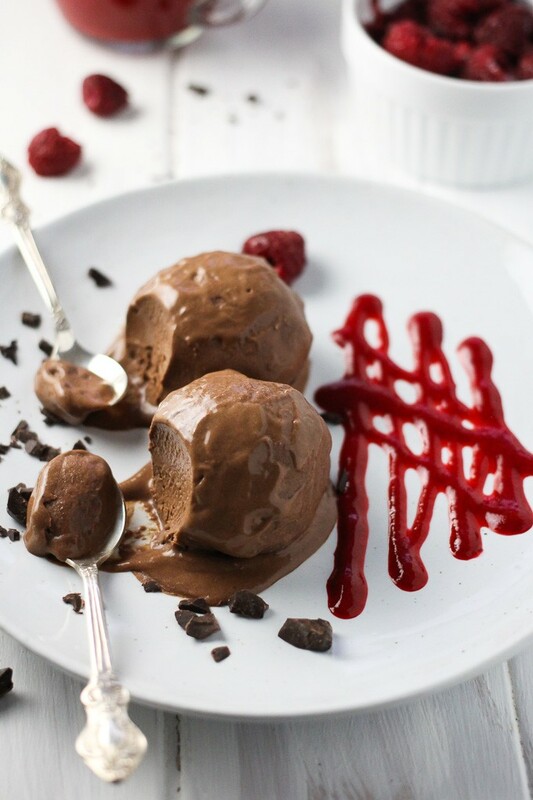 You will take the plain vegan chocolate ice cream to a whole new level if you pair it with the Raspberry Sauce. Decorate the plate with it or simply pour it over the ice cream. 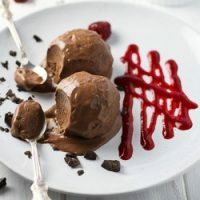 You can also sprinkle this no churn vegan chocolate ice cream with some chocolate chunks, nuts, or fresh or frozen berries. This chocolate ice cream is so rich, smooth, and creamy that it’s hard to believe it’s dairy and egg-free. 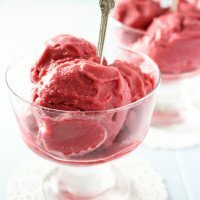 Made without an ice cream maker using a simple no-churn method. When you open the coconut milk can, your should see the white coconut cream and coconut water. Add 2 to 3 tablespoons of the coconut water into a small bowl. Scoop the rest of the coconut milk can into a saucepan. Add the arrowroot powder to the coconut water and whisk well until dissolved. Set aside. 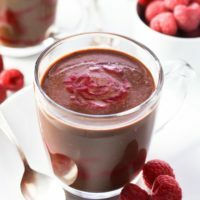 Place the chocolate into the saucepan where you have the coconut cream and start warming it up over medium heat, first stirring with a spoon and then whisking with a whisk. Whisk until the chocolate and coconut milk are fully combined. Add the maple syrup, vanilla extract, and sea salt. Slowly add the arrowroot powder and coconut water mixture making sure to constantly whisk. Keep whisking and warming up the mixture until it thickens. 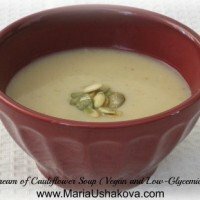 Make sure not to boil or simmer because arrowroot powder looses it’s thickening ability when overheated. Let the ice cream base cool completely. Pour the ice cream base into a muffin pan. 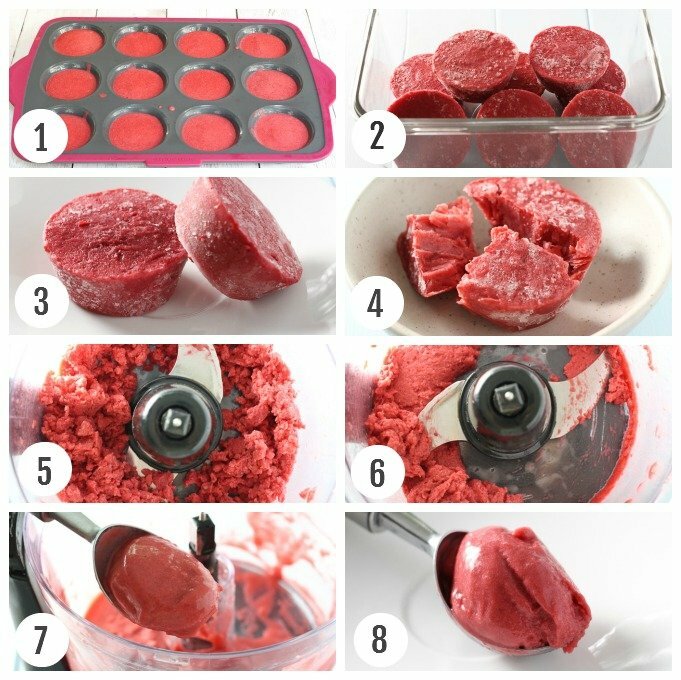 This recipe makes enough ice cream base to fill 5 muffin pan cups if using a standard 12-cup muffin pan. Place the muffin pan into the fridge and let the ice cream freeze. Depending on the temperature in your freezer, it might take anywhere between 3 to 5 hours. You can also leave it there overnight. Once the ice cream base is frozen, pop the frozen ice cream cups out of the muffin pans. You can store them in a glass container with a tight lid or in a freezer bag. I have a silicon muffin pan, so the ice cream cups easily pop out. But if you have a metal muffin pan, you can briefly place the bottom of the muffin pan into a hot water to loosen them up. 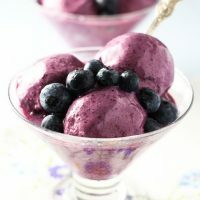 Once you are ready to serve the ice cream, break the ice cream cup into 4 pieces and then process it in a food processor until you get soft ice cream (check the instructions of your food processor first to make sure it’s powerful enough to crush it). 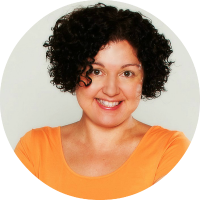 For more detailed instructions on this no churn method and other tips, check out this post. 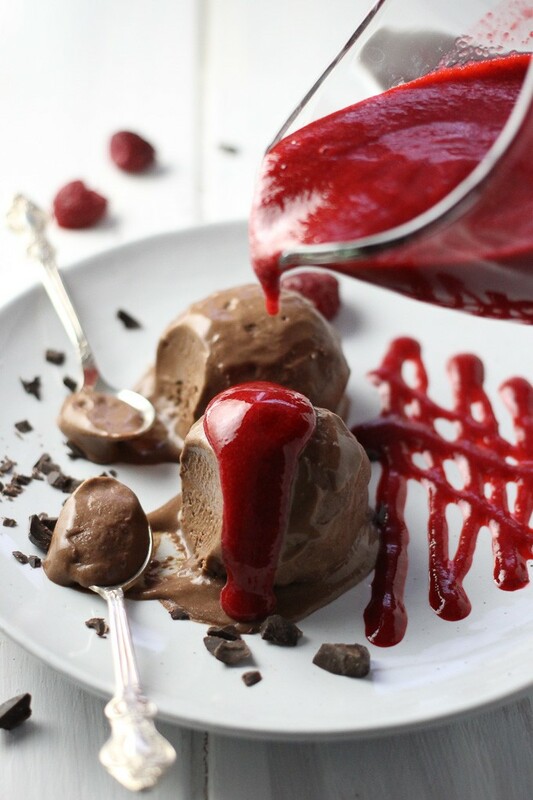 Chocolate ice cream pairs perfectly with my favorite 2 Ingredient Raspberry Sauce. Decorate the plate with it or pour it over the ice cream. The recipe can be found here. Sprinkle the plate with some chocolate chunks. Nutrition information is a rough estimate for 1 serving of the ice cream calculated without any toppings.